The small screen will be overflowing with military/red dramas due to National Day (Oct 1st) and the People’s Liberation Army’s 90th anniversary, though there will be a couple of idol romance dramas featuring Zheng Kai, Yuan Shanshan, Jiang Xin etc. in between. 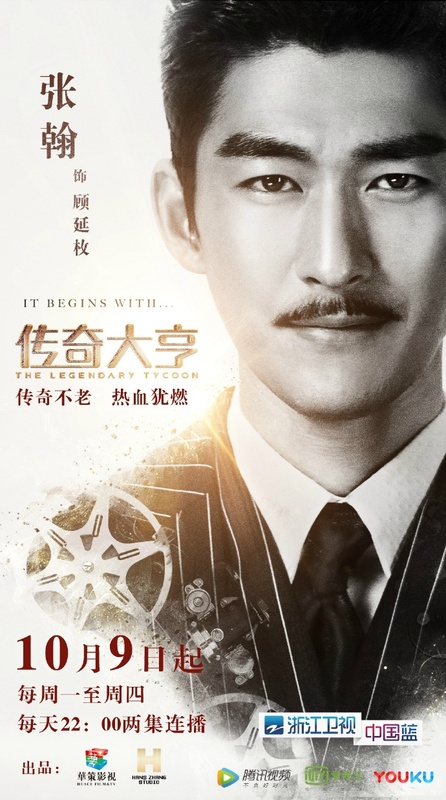 This entry was posted in Drama, Mainland China and tagged Air date update, ER Doctors, Nation's Lifestyle, Special Duty Elites, The Legend of Heavenly Tear: Phoenix Warriors, The Legendary Tycoon, The Starry Night The Starry Sea by XDramasX. Bookmark the permalink. – Read the episode-by-episode synopsis for whole series and the series should be called “Blind Faith”. Will probably never watch anything by the director and scriptwriter again. – Zhang Han has even worse taste in scripts than Feng Shaofeng. Both should stop producing dramas. Any news if his other dramas are going to be refilmed? Haven’t heard any news yet. Doesn’t seem like he will, unless Legendary Tycoon brings in more revenue?